A durable one-piece moulded board with raised L-shape in one corner. This allows bread to be spread using one hand. Plastic Spread Board...A durable one-piece moulded board with raised L-shape in one corner. 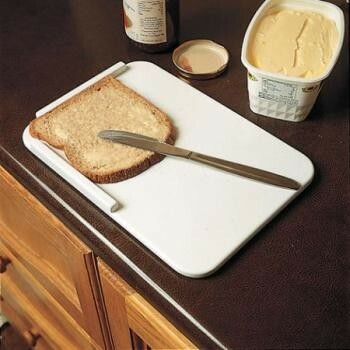 This allows bread to be spread using one hand.